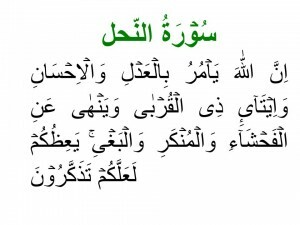 We will discuss all the orders of Quran in this ayah step wise so that you may implement it in your daily life. Teachings of Quran for kids are vital. Islam, the best code of life, has great concern with peace and genuine respect for people. Islam demands fair-mindedness and righteousness morality from its followers. All Muslims should be a symbol of honesty and righteousness. In any society justice plays an important role in placing things in their rightful place. Giving others equal treatment is compulsory. Dear brothers and sisters in Islam, you should follow the orders of Holy Quran for your kids, your family and for your society. According to the teachings of quran There is extra Compassion for kids and disable. So as Muslims we should be more humble . It is our basic responsibility. Our Quran tutor are well trained in their field. Join us for online teachings of Quran for kids. May Allah keep us on right track and bless us in this world and on the judgement day.